The positive effects of owning a pet are remarkable beyond words—it’s almost like we don’t deserve their undying love and affection. 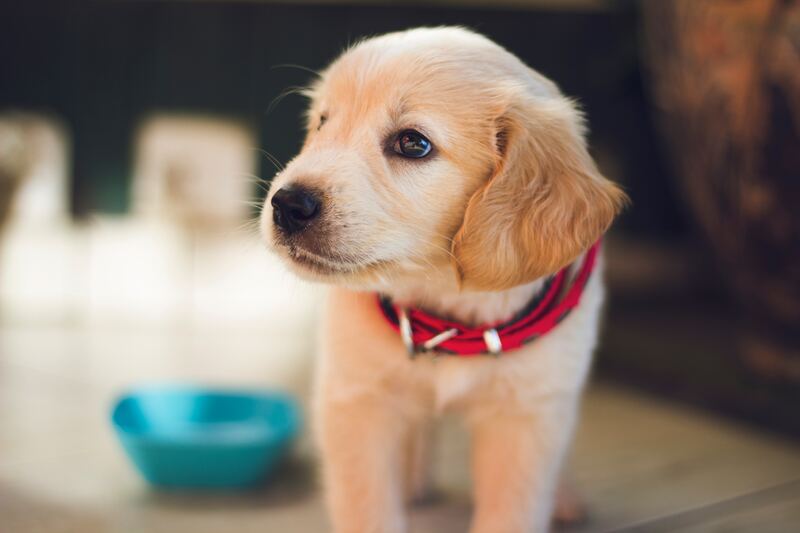 According to the Centers for Disease Control, owning a pet can help increase your fitness level, lower stress, help improve your health and generally make you happier. This isn’t to say our furry friends don’t cause unfortunate mishaps (not like that makes them any less adorable). For instance, urine stains on the carpet, fur clinging to every surface, and the occasional hairball. Because animals tend to do their business where they’ve done it in the past, getting a particular smell out of the rug is an important art to learn if you intend to share your life with a cat or a dog. There’s a lot of very bad advice online about how to clean up your pet’s urine spots. Some random bloggers might have you put down a paper towel and then basically try to absorb the liquid by stomping it out. This is about the worst thing you can do—not to mention physically taxing. Carpets are especially absorbent, but much of that absorbency is down below, in the pad, which is covered up by the rug. So when you stomp on a liquid mess, what you’re really doing is spreading it further through the pad, causing an even wider puddle to form in a place where your flimsy paper towels can never go. Unless you’re prepared to rip up the carpets and deal with the puddle, consider purchasing a tool that can extract fluid from rugs, like a handheld extractor, a floor cleaner with an extract-only mode or, in a pinch, a wet/dry vacuum. First and foremost, do not use carpet cleaner first or you may lock any stains into the carpet permanently. Use an extractor to pull as much fluid as possible out of the carpet and pad. Remember that the small spot on top of the carpet may be hiding a lake of urine that’s locked in the pad. Keep extracting in a wide arc until nothing else comes out. Treat your carpet with a bio-enzymatic cleaner like Nature’s Miracle Urine Destroyer. If a spot remains, use a stain remover to help break it up. You’ll want to be sure the enzymes have finished doing their thing, though. Patience and thoroughness is key when it comes to these things. When it’s a solid gift that’s been left behind, you’ll want to follow similar guidelines, except when you clean the solids, use a putty knife to avoid pushing the solids deeper into the carpet. If it’s any serious kind of solid, you’ll want to swap the bio-enzymatic cleaner for one that’s also oxygenated. Wrap masking tape around an old paint roller attached to a broom handle. You’ve literally just built a giant lint roller! There’s a device called a carpet rake that is basically what you might imagine. Choose one with rubber bristles, and then run it over the carpet collecting hair. Choose a high powered, pet-focused vacuum with a HEPA filter. This is probably the best general purpose tool you can get for dealing with hair in carpet. You’ll need to vacuum frequently to keep ahead of your favorite hairball. Even if you become the master of carpet cleaning, you’ll want to have a professional come out at least once a year to give your rugs a good once-over. You can find the name of a random carpet cleaner online or in the Yellow Pages, but how do you know if you can trust them? Contact us and we’ll connect you with one of our trusted and professional carpet cleaners!